Join. Earn Rewards. Snag Savings. Paycloud powers loyalty rewards programs for local businesses nationwide. 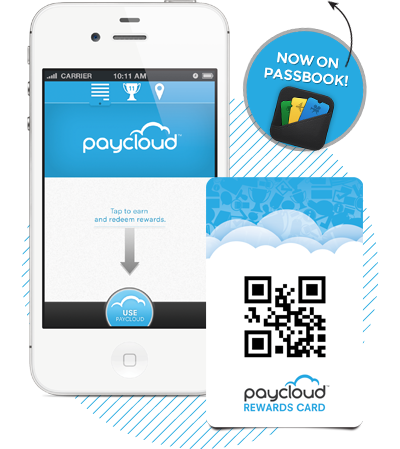 Earn credit toward exclusive rewards and discounts with the Paycloud plastic loyalty card or mobile rewards app. Hundreds of small businesses use Paycloud for their loyalty program. FIND LOCATIONS or GET STARTED. Already enrolled in a loyalty reward program through Paycloud? Register your card or manage your rewards online. to add your loyalty cards to Passbook. ©2013 Paycloud Ltd. Paycloud is a registered trademark of , Inc.